These jewelry setsare consists of crystal stone which can bring an elegant beauty. Some different colorful stones are also used for the jewelry setto bring a dynamic look. These Jewelry Setenhance women's beauty besides offering them a social confidence. 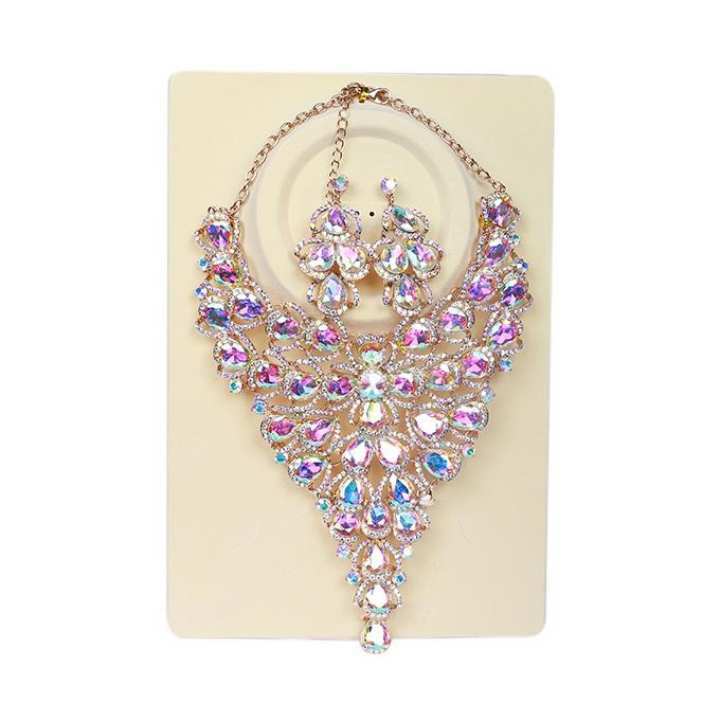 It will give them a gorgeous look fits with almost any type of dress one loves to wear. Whether regular use or for a party - the jewelry set has all-around compatibility. It is a perfect gift for dearest persons and relatives to express your unique love.